Priceless! Happy St. Patrick's Day, Meredith. Happy St. Patrick's Day. I hope you get a chance to get your feet up and have a green beer! 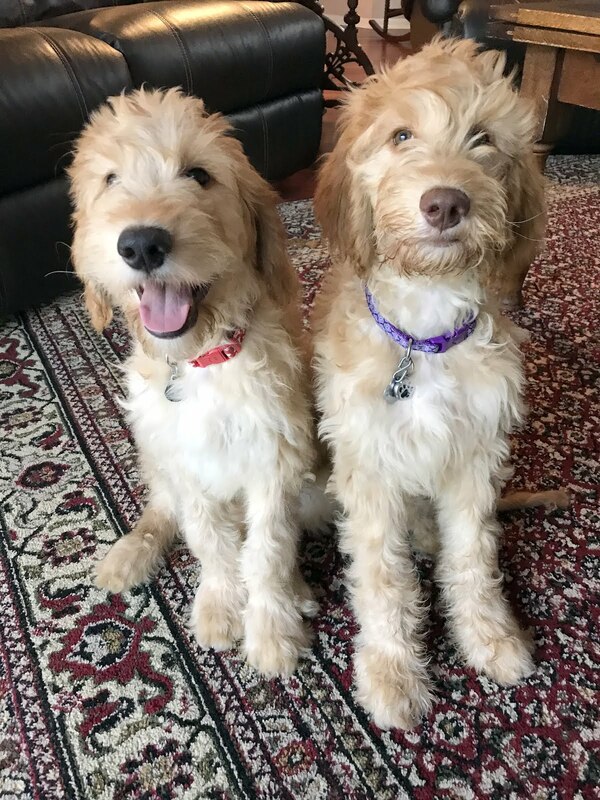 Thanks for the cheerful, adorable photo! Happy St. Patrick's Day. Aww. Look at all those cute boys! Awww, such wonderful photos. Happy St.Patrick's Day. Wonderful, such a brilliant and uplifting photo. Have a good day. 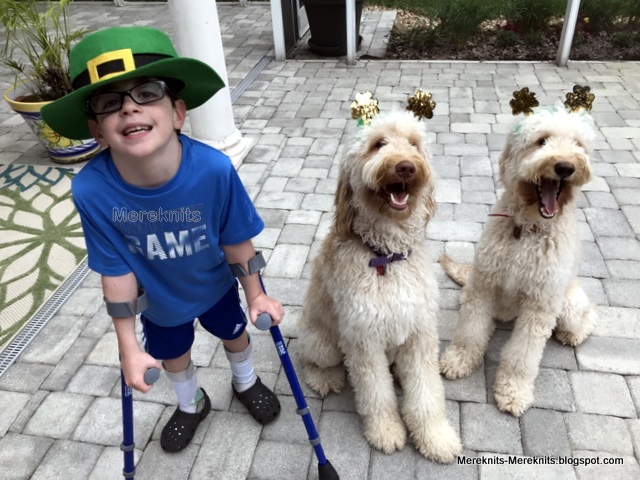 Oh Meridith - such a BIG smile here seeing your St. Patrick's Day happy smiling group !!! Oh! MY! WORD!!!! There is just SO much cute in this blog posting! Your boys are just what this world needs this week. Adorable! Happy St. Patrick’s Day. Oh...they're adorable. Your dogs always just crack me up! They have the hugest grins, and look so enthusiastic. Yours must be a very happy home. Faith and begorra it doesn't get any cuter than that!!! This is just the best St. Patrick’s Day picture I could ever imagine seeing! There is so much cuteness in this picture. All three of your boys look happy as can be. I see smiles on all three faces. Thanks from one Kiwi who needed a smile today. Those dogs are perfection! And so is your little green elf. Well now that's a way to have a good celebration! I don't know WHY I always get emails a day late d a r n it! but at least I do get them and I wouldn't have missed this one for the world! I laughed right out loud. a wonderful way to start the day! Wonderful. Thanks for the much-needed laugh! Those boys put a smile on my face--thank you! Hahahahahahaha! ROFL. 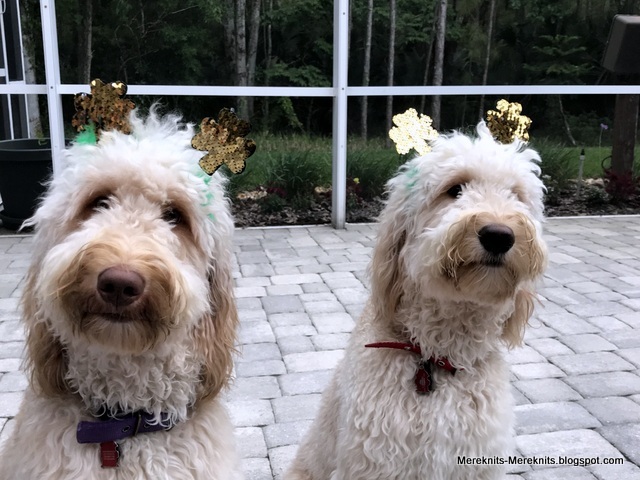 That photo really put a smile on my dial, especially the gold cloverleaves on the puppies' ears - they seem to be wearing a silly expression on their faces too as if they know it is silly and are having fun posing for mum.